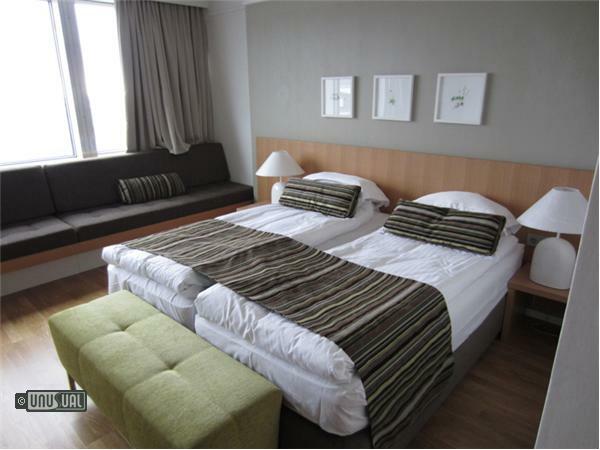 Icelandair Hotel Reykjavik Natura, built in 1964 and recently remodeled, has deep roots in the capital city of Reykjavik. With 220 rooms, including a number of themed poet, flora and art rooms, the hotel also offers 2 luxurious suites. One of them - "The Pink Suite" is decorated with art work by the renowned Icelandic artist Eggert Pétursson, and dedicated to the Icelandic Cancer Society. A portion of the room‘s revenue is donated to the association annually. 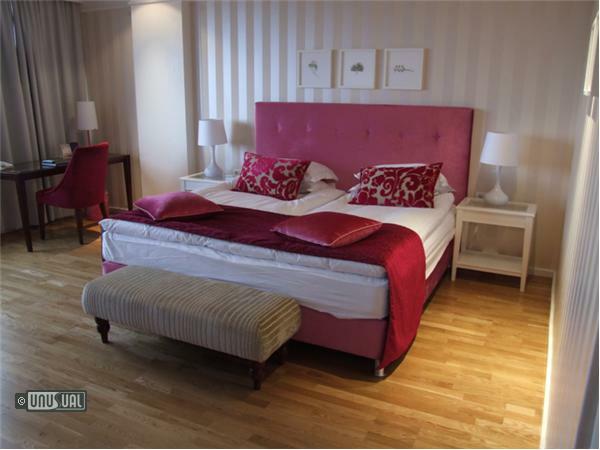 By staying in the Pink Suite, you will help the hotel show appreciation for the outstanding commitment and hard work which the Icelandic Cancer Society stands for. With 220 rooms to choose from, with an array of different designs and sizes, there’s something to suit everyone at Icelandair Hotel Reykjavik Natura. You may want to keep it simple but stylish with a standard room. Or you can choose to immerse yourself in some Icelandic culture or nature in a Poet, Art or Flora room. They also offer comfortable family rooms for those guests who are traveling with kids. Poet rooms are dedicated to Iceland’s most beloved poets and feature samples of their work, biographies and pictures on display. Art rooms are dedicated to Iceland’s most beloved and distinguished Icelandic artists. Enjoy samples of their art, biographies, and artist's pictures on display. Flora Deluxe Rooms are more spacious, decorated with art work by the renowned Icelandic artist Eggert Pétursson, along with information on how plants have been used for medicinal purposes through the ages. Guests staying in the romantic Pink Suite get access to the Lounge on 4th floor, included in the access is complimentary non-alcoholic beverages and light snack from 5.00 pm to 11.00 pm, and free access to Soley Natura Spa located in the hotel. “Satt” means “true” in Icelandic. Satt restaurant is the in-house restaurant at Hotel Reykjavik Natura, serving fresh, honest food that has been sourced from the best local farmers and fishermen. It’s prepared simply to showcase its flavours and colour, and served in a warm and welcoming atmosphere. Satt is your kitchen away from home, comfortable, fresh and beautiful. They meticulously select the best possible produce and prepare your meal from scratch with care and insight and know how to make it delicious. They bake fresh bread daily in the hotel bakery and lovely pizzas leave the fire oven crusty and delightful. Satt restaurant is deeply rooted in old and trusted tradition but takes a modern twist with light and wholesome approach that allows freshness and original taste to bloom in a bed of aromatic herbs. The open kitchen lets you watch as they prepare your meals from scratch. Inspired by Iceland’s unique surroundings and natural resources, the Soley Natura Spa was opened in spring 2011 in Icelandair Hotel Reykjavik Natura. The spa offers some of Reykjavik’s most exclusive beauty and massage treatments, along with completely re-designed facilities that have been created to soothe both body and mind. Access to Soley Natura Spa, which includes a warm indoor pool, sauna and hot tub, is free for guests making bookings via UHOTW to the hotel. 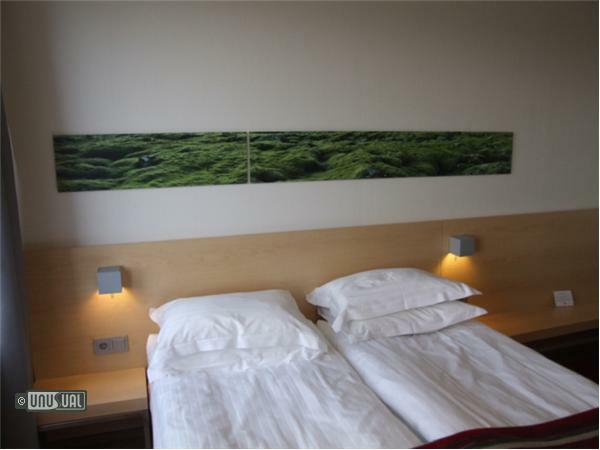 Icelandair Hotel Reykjavik Natura is located near Reykjavik’s domestic airport and Reykjavik's main beauty spot at Oskjuhlid Hill and Nautholsvik beach. 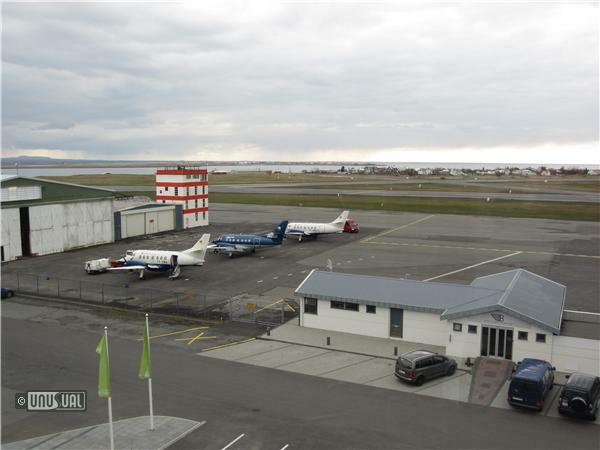 Transport between Keflavik International airport and Reykjavik city is by road only. The distance is 50 km. Flybus - The buses are operated by Iceland Excursions' Airport Express and Reykjavik Excursions Kynnisferðir's Flybus services. They both have a timetable adapted to the arrival and departing flights' schedule. They go to and from the Reykjavik bus terminal, taking around 45 minutes. Both companies offer a stop at the domestic airport and also provide direct stop to Icelandair Hotel Reykjavik Natura through their shuttle service by request. Hotel Reykjavik Natura like to offer guests activities at all times and have set up a calendar of activities that are a perfect addition to guest stays. On Mondays they have Segway Day, Tuesday is Yoga Day, Wednesday is Natural Bath Day, Thursday is explore Reykjavik Day, Friday is Helicopter Day, Saturday is Brunch Day and Sunday is Nature Day. Hotel Reykjavik Natura is also the perfect location for those who love nature and the outdoors. Located in one of the greenest areas in Reykjavik, you can enjoy access to expansive stretches of biking, running and walking trails and pathways, Reykjavik’s-own Nautholsvik Geothermal beach area, bird-watching, easy access to the famous Perlan and more. To top it off, the buzzing city center is also within easy reach; just a few minutes away by car or bus or approximately 20 minutes by foot. Plus, for your convenience, Hotel Reykjavik Natura offers free city bus tickets for their guests. I wasn’t really sure what to expect on a Whale Watching trip, but I'd recommend it as a highlight of things to do in Iceland. I’ve only seen whales in books – so I didn't really know what to expect from these mammal masters of the deep. UHOTW visited Iceland at the start of their summer season April 20th, unsure of what to expect for weather in this most northern of capital cities. Pleasently surprised, we discovered that it rarely gets cold in Reykjavik, with summer temperatures between 5°C and 15°C, due largely to the warming Gulf stream current. Into the Glacier is offering visitors to Iceland the opportunity to not only spend time on Europe's second largest glacier, Langjökull, but uniquely, to see it from the inside too. When you're high up on the mighty Langjökull Glacier Ice Cap, you can’t help but get a sense of what it might have been like in the “Ice Age”. I love Natura - they still have their bedtime stories on Thursday evenings. Spa is excellent and the whole hotel is clean and cheerful. Good location if you're taking internal flights to Icelandair destinations (Faroe Islands and other parts of Iceland). Good connections to central bus station and buses into town too. Best Flexible Rate Including Taxes & Fees when booked direct.